The full drum sheet music for “The Middle” by Jimmy Eat World from the album Bleed American (2001). 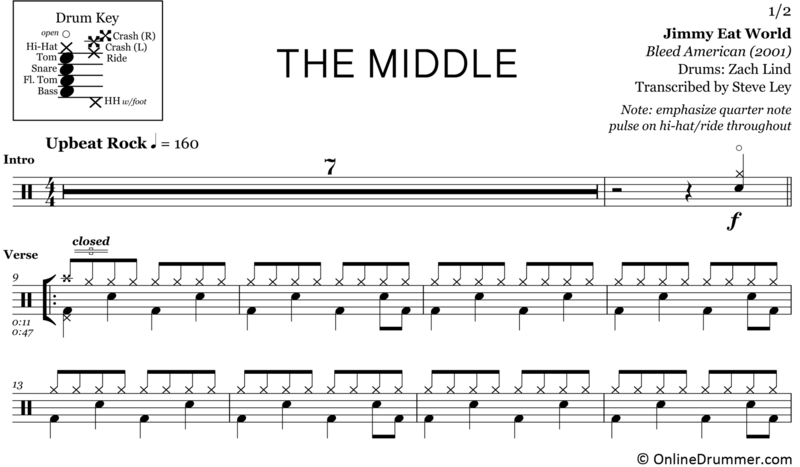 In Jimmy Eats World’s hit, “The Middle,” drummer Zach Lind plays a simple, upbeat groove with tasteful tom fills punctuating the choruses. The self-reassuring song was penned after the band was dropped from their record label, forcing them to believe in themselves and find their own way forward.